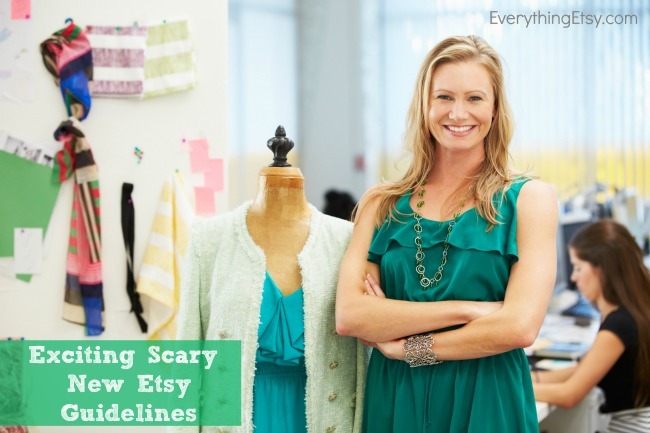 You’ve probably already heard that Etsy made some huge changes to the guidelines that determine what is offered for sale on Etsy and by whom. Prior to these changes, Etsy had very restrictive policies that prevented anything resembling mass-production. Everything in the “handmade” category (vs vintage or supplies) was meant to be made by one person in general with only a helper or two on occasion allowed. Or at least that was the most common way of reading the famous Etsy “Do’s and Dont’s“. The reality has been a little more confusing and the seemingly infinite number of definitions of “handmade” has been a point of contention amongst the community for years. Etsy’s new guidelines are designed to clarify “what can be sold on Etsy” in a big way while opening up the marketplace to a wider array of unique and creative items. Under the new guidelines Etsy sellers are allowed to hire more help (locally or remotely), outsource fulfillment (warehousing, packaging, and shipping), and even team up with manufacturers to “make” (even in bulk) all or part of their unique creations. This is a massive change that will probably upset some in the Etsy community while stirring up a new sense of opportunity and hope in others. We’re trying our best to fall on the side of hope and, for the most part, we think this is a great change for Etsy. We’ve been a part of the Etsy community for many years and have always seen Etsy as a place of opportunity. We’ve written about that opportunity countless times and we’ve never waivered from the idea that Etsy is a wonderful place to start an online business; very likely the best place of all. We’ve even discussed the idea that it was a perfectly sound business plan to start off from day one with the intention of always selling on Etsy and never bothering to sell anyplace else. But there has always been this giant obstacle to growth. You can’t hire much help, you can’t outsource any part of your operation, you can’t take advantage of modern manufacturing tools that might streamline your process and help your business grow. The truth has always been that for most Etsy sellers who had a plan/dream for growth, that plan always led them off of Etsy eventually. It almost had to. This made it challenging for people to justify investing in building their brand on Etsy. It made it discouraging to know that no matter how much you sold, you personally had to make it all, even if it meant working all night long during the busy times. For sellers who were living “on the edge” of the Etsy guidelines it was even more of a problem because they never knew if they might get shut-down overnight as a result of some competitor’s complaint. Most of the time, the sellers impacted by these challenges were “makers” in every sense of the word. They dreamed-up, imagined, designed, created, inspired, and otherwise breathed-life into the things they sold. They might have used a 3D printer, a laser cutter, or a bunch of parts off the shelf of a big-box store to do it, but they’re makers nonetheless and they undoubtedly brought the “right” kind of offering to the marketplace on Etsy. Authorship is the process of inventing and tweaking and making. It doesn’t require that you hand print every page of your book on your own press at home. You can send it out to a print shop if you want to… and if you think you can sell enough copies to justify the cost. Doing so doesn’t make your book any less yours or any less special. Etsy sellers are at the heart of a growing revolution. More and more people around the world are interested in supporting local, mindful, independent businesses. Buyers increasingly want to know where their goods come from. At the same time, makers have access to an ever-growing array of methods to create their items, everything from laser cutters and CNC routers, to manufacturers who do small runs of high-quality items. Artists are integrating these new technologies with some of the oldest hand-making processes in the world in surprising ways. Makers are banding together to collaborate, sharing workshops and tools, and building their own production facilities. We believe these trends are going to continue and we want Etsy to lead the way.As we reimagined our policies, we wanted to give Etsy sellers the ability to take full advantage of all these incredible developments. It seems a foregone conclusion that unscrupulous manufacturers who mass-produce items in ridiculously low-cost (and often morally corrupt) ways will be quick to try and take advantage of these changes. It’s easy to create a fake persona and make-up a false but interesting story to promote items that are anything but unique and individually authored. It will be interesting to see how well Etsy controls this. Nobody wants Etsy to look like Alibaba.com and thankfully the people who probably want it the least are the ones with the “delete” button. Etsy, Inc. is a for-profit business run by a team of people who know exactly why Etsy has had the “magic formula” of success all these years. That success is buyers and sellers like you and like us. It’s real people with real stories and really amazing imaginations. People who create beautiful and inspiring things you can’t find in the store down the street. Etsy isn’t going to let anything change the heart and soul of the community of people who buy and sell on the site 24/7. Etsy will remain creative, it will remain unique, and odds are that these changes to the Etsy guidelines are going to make it even better. So what can you do with this information? What does this mean to the average Etsy seller? We think it means opportunity to grow. We think it means security to invest in your brand. We think it means a new set of possibilities as to what you can make and how you can make it. Look closely, and you’ll see an exciting road ahead. That’s what we think… what about you? Share your thoughts in the comments! This phrase embodies what handmade means to me and I have it on my Etsy and website. A purist might think that “handmade” wouldn’t include things made on my sewing machine. I love creating things by hand and grown my business. But, like most creative people, my mind is filled with far more ideas than my hands can create! I look at this as an opportunity. I’m not sure if I will expand into this realm since I do a lot of custom work anyway. But I certainly have ideas that have potential if I can produce a larger quantity. I do think it will be a challenge to keep the spirit of Etsy the same. I think we have been living with it for the past year or so anyway. Although I have my own website, Etsy is still a big part of my success and I look forward to continuing working with the venue. I agree completely. As someone who is looking to grow, I was getting worried about what that meant for my Etsy store – their timing is perfect for me! Thanks so much for your comment! I think selling online is one of the coolest things ever and the sky is the limit when it comes to your success. Etsy has always been a great place to start selling online, and now it should be a great place to grow your business! I’m glad the timing is working out for you…yay! I don’t think I’ve been able to settle down and stop doing my happy dance since the news at yesterday’s town hall meeting was announced. Yep. I will still be making things that only I can make BUT NOW I can completely dust off my dreams and have the business I WANT. I participated in a project in Indianapolis during August to test the waters for having a fashion incubator which would support a network of cottage industries to manufacture our goods. I felt so StuckStuckStuck with the limitations that Etsy put on me. Now, I can run with it. OMG. I an the happiest person on the Internet today. Dream BIG! That all sounds so exciting! Isn’t it amazing what can be done if you try? There are a lot of nice things – jewelry, clothing, furniture and more – which are beautifully designed and produced very carefully by many skilled fingers. Clothing designers don’t make fabric – weavers do. Some weavers make clothing. Furniture makers don’t usually harvest wood or choose just one log for each item then make. Stickly makes exquisitely crafted furniture, but it’s not the same as the artists at the ACC. Jewelers don’t usually cut their own stones, but some do, and I even have a friend who owns the land and works the mines for the stones he cuts into beads. There is some touch of a hand in most every thing manufactured, often many hands. To me, the “handmade” designation belongs on items that are ultimately assembled and finished by one or more artisans who each contribute some unique judgement about each piece. If I select stones, then select settings for them, and I mount them with the “best angle up” after testing them under the light, I have still used some skills in mounting a pretty stone in a setting that enhances it. If I design a beautiful necklace, and I buy thousands of cut stones from a seller, and thousands of silver beads and findings from a seller, and I hire dozens of low income teenagers to put them together for me in the same combinations, I am manufacturing. If I have those same items and those same teens and I tell them “Here are some nice materials. See what you can make with them.” then they will produce similar items because of the supply limitations, but they will each use their own judgement as to the placement of the components. When you start having the same design, over and over and over, and you have other people executing it, it’s not a true handmade item, but “assembled by hands”. If you and I sit down and make two dozen necklaces, “alike”, but it’s our design and our hands, I call that working in a series. Pottery is a better example. Many potters work with another artist, partner, spouse, relative, or friend, and produce basically the same coffee mug over and over and over, trying to keep them looking like a “set”. One may throw, another may glaze, assistants may load and unload the kiln. Once the pottery starts using molds and presses to assure this uniformity, and there is no hands-on artistic skill involved, the potter has become a designer relative to the items instead of an artist. We are gathered in the SRAJD group under both terms Artist and Designer. There is clearly room for both, and many of us would aspire to become Designers with better incomes than OOAK artists. I think we all appreciate that we can design something beautiful and see that a high level of quality materials and a high level of assembly skills are used to produce a beautiful “finish”. The issue is whether the items that we design but do not personally produce belong under the Handmade label. It seems to me that once you hire strangers to assemble your design, it’s passed that handmade scope. I do not think that repetitively produced conforming work, no matter how exquisite, belongs in the same category as “handmade”. If you want to expand your operations to commercial scale, then you need to be identified as at least “limited production designer goods”. Long and rambling, but that’s a night of sleeping on it. I think we all know a line has been crossed when we see it. Very well said, not much I can add as a one-person sewist. I’m concerned that the small folks that DO make everything themselves in their little home studios are going to be squeezed out by the folks that have the resources to hire help and mass produce their product. Kind of like the mom and pop stores being squeezed out by Walmart. I do appreciate when people care enough about their product to take the time to do things themselves. That’s the love of creation. If I farm any of my process out to other people then I feel like it’s not MINE any more. As a “maker”, I feel that I can’t keep up with the folks that have hired help and as a “buyer” I feel like I’m not getting a truly OOAK hand-crafted product from the maker. If someone else is doing it then the quality just won’t be there because the love of the creation isn’t there. If I want mass production I’ll go to other sites. I sure hope that this doesn’t bring Etsy down but I’m afraid that it will. I won’t be able to trust the quality any more. Just my $0.02. First, I’m not sure there will be an influx of big businesses with big money to spend. For the most part they also have big egos which will probably always make them think that it’s better to sell on their own site. Fine… stay on your own site. For those that do come to Etsy, I wouldn’t worry about them. The thing to realize is that, on Etsy, buyers are “shopping” for more than an item. They are also shopping for a story and they deeply desire something unique and special. All of the money and manufacturing juice in the world can’t change that your personal item is exactly that, personal. It just can’t be copied. This is why we talk about selling with a story. It makes you impossible to compete with. The other thing that I think is often hard to see from behind your computer monitor is the vastness of the Etsy marketplace. There really is an “economy of abundance” on Etsy. In other words, there is plenty to go around. The thing to focus on is the “bright side” which is that if you build your shop up, one item at a time, all made by you, and the years bring growth to the point that you have so much repeat business and loyal customers that you yourself need to improve your process to fill more orders, you’ll have the opportunity to do that. When you get to that point, the value of that option is immeasurable and the cost of not having it can be extreme. From a buyer’s perspective, I just think this will mean more to choose from. I don’t think people who look hard at all get fooled into thinking something made multiple times is actually OOAK. All it takes is a look at the “sold items” list and you can see that the seller sold ten of these yesterday. Thanks for your two cents! I hope mine was helpful too! Etsy was a venue for me to quit my full-time job nearly 4 years ago now, and I feel let down for those makers who haven’t yet entered the marketplace having to compete against these bigger operations. As a buyer, I come to Etsy to find amazing one-of-a-kind items — handmade and packaged with love from the artist. This is the spirit of what made Etsy a one-of-a-kind website, and I feel like a piece of that spirit was lost with this announcement. Truly, these policy changes will give opportunities for many (and allow Etsy to cash in on many, many more listings and sales). But opportunities that move sellers away from the one-on-one experience artists have with their product and their customers don’t seem at the heart of what made Etsy great. I agree with you completely. Etsy started as a forum for artisans, not manufacturers. If a designer wants to mass produce, than sell to retail outlets to get those large $$$ orders like everyone else does. It is unfortunate, but Etsy has been infiltrated by too many factories from China, misrepresenting the whole essence of ‘handmade’. It really isn’t in the best interest of Etsy to shut them down if they are making money from their listings, hence the changes in their rules. This would be a good opportunity for Etsy to create divisions to separate the true artisan from the designers/manufacturers of mass goods. Otherwise, the more crowded the site becomes, the fewer sales artisans will have because of the sheer volume of items buyers have to wade through. Well said Alyssa! I feel it comes down to the bottom line, Etsy can make a lot more money! I truly wish all the best to the shop owners who have welcomed these changes, however once the Asian market latches on to this, let’s see how many true artisan Etsy businesses survive cheap mass production. Sue tells about how she had a similar comment removed from Etsy because of the designation of a particular cultural group. I think that’s fair of Etsy to do because you can’t really just say “Asian” and not include every single person who lives on the continent of Asia, which is a very huge group of people, many of whom are individual crafters just like you. But I think I know exactly what you’re looking to point out… it’s the possibility that “mass producers” from places in the world that don’t have the same wages, costs of living, or regulations that you have will overrun Etsy with mass-produced “junk” and undercut the “real artisans”. You can find producers like this on every continent, not just Asia, and they all try to do the same thing. Of course they already do that now and Etsy has been (and will continue to) monitor and remove those type of operations. There are a few reasons I think you might be able to not worry so much about this. 1. Feedback… bad sellers are going to get bad feedback. The Etsy feedback isn’t all that easy to trick because you have to be an actual buyer of an item to leave feedback. 2. Algorithms… Etsy wants the search results to show the coolest, best, most wonderfully impressive items as a result for each search. They won’t show people junk unless junk is what the person is searching for. Etsy will continually update the methods by which people find things on the site to ensure that the best things are found and the junk isn’t. It’s always been 90% the job of the seller to promote their own items anyway, so if you’re out there bringing people to your Etsy shop then they won’t ever know that that other mass-produced stuff, from wherever it is, is even there. Fair comment Tim and I take on board your references to worldwide mass production. I would be interested to revisit this post say a year from now and see how many sellers who have commented here are reporting substantial increases to their own bottom line. I sincerely hope they will. Put a date in your diary! Love this decision. As an Etsy customer I come here to find the unique and handmade items of quality. If I wanted something else, I would go somewhere else…. Thank You Etsy!!!!!!!! I totally agree with Elle Kennedy above. I said the same on Etsy and they took my post off because they said they are a multi cultural community of handmade crafters and I shouldn’t pick out some countries. Thank you so much, I agree with you, and was a bit demotivated by all the negative feed back I saw around. For me it gives me the opportunity to make new lines, bc I have lots of ideas but only 2 hands and my dream is quit my day job. Etsy is a business and it makes its money from commission on the sale of an item. To increase revenue simply increase the number of units sold. So, if you have one artisan making and selling say 10 units a week and one manufacturer making and selling 1,000 per week it would make sense to “court” the manufacturer. Spending time aiding and promoting the smaller business will not be cost effective any more. I think people must get it into their heads that Etsy is a business – its remit to increase profitability year on year. I say that objectively and with no animosity as we are all business owners and we all want to make profits. It’s not a charity or your friend, it will go where it can add more to its bottom line. This is exactly what I came to realize – once an artisan experienced success to a greater degree, they almost always ended up having to leave Etsy. I myself was planning to phase out of my Etsy shop, and looking at other alternatives, because as an illustrator, I need to have a professional printer print my artwork that I draw by hand. I like that that this gives honest, hardworking artists more of a chance. The unscrupulous ones who break the rules have always been around anyway 😉 I think Etsy is recognizing this and leveling the playing field for those of us who want to grow our businesses, while at the same time staying loyal to Etsy –the platform that gave so many of us the amazing opportunity to put our work out there in the first place! This absolutely changes Etsy. Pretty much every business out there falls under this category because someone, somewhere “created” or “designed” that idea (i.e. product)….and no, I do not consider many of those businesses to be producing handmade items, period. Coming up with a great idea and then sending that idea to a manufacturer to produce is the opposite of handmade, handcrafted or one of a kind. Wouldn’t you just LOVE this opportunity to sell a mass produced product on a HANDMADE market place? I have always recommended Etsy to my friends but I will not anymore until I can safely do so again. If there were complete accountability and disclosure attached to any shop (and available to potential customers in the About section) as to which part of the process was outsourced or manufactured and which part was indeed handmade with no sellers that completely outsource their products allowed to sell on Etsy, then some integrity might be retained. And saying things like “don’t think people who look hard at all get fooled into thinking something made multiple times is actually OOAK. All it takes is a look at the “sold items” list and you can see that the seller sold ten of these yesterday.” just says to me that buyers will have to do the discerning….and they came to this site in the first place for HANDMADE goods and they look to the Etsy administration to make sure that is the case! A for-profit company looking to dramatically increase profits? Perhaps. In any case, this definition of who may sell on Etsy doesn’t seem at all clear to me, yet again. oh for crying out loud, Effect???????????????? seriously???????????????? Thank you so much! I’ve always had a tough time with that one. It must be a side effect of the bump on the head I had when I was a kid. That one, and i’s before e’s. I wrote the word ceiling so much as a contractor that I’m forever trying to put my e’s before my i’s. I guess nobody’s perfect. Thanks for keeping me in-check. I am relatively new to etsy and my site has had moderate success. I read the tutorials and try to learn the practice of self promotion and enticing customers to look at my handmade with love and caring items. One of the tutorials suggested you set up 2 or 3 components that speak to who you are and define what you do and why you do it. Then make sure each item in your shop meets those chosen values. Mine is I wish people to see the caring and love that goes into everything I do, and I want to offer the best quality at a moderate price accessible to most. I also think of and pray over each person who has purchased something while I am in the very process of making their item. I must say truly, I have had concerns about etsy since I started my little shop. As I follow some shops and search for special things to buy and support other artisans, I come upon many that you can tell are already at least partly if not wholly mass produced. Those of us who plan to truly maintain the ideology of true craftsmanship can not compete with sellers who have part or all of their “idea” or “design” performed for them at rock bottom prices by underpaid workers and therefore can offer their “product” at significantly lower prices than someone who puts 3or 4 hours into producing the same type of article even with superior quality. I am disheartened and am trying to figure out where else to go and have a fair field in which to show my articles. Etsy has already changed so much and has been leaning into these changes for quite some time. It’s true, It’s a business and each 20 cent listing is their income. If the mass producers can post and sell dozens of things a day and my little shop lists 2 or 3 things a day and sells on a good week 4 or 5 items, it is obvious who etsy is going to court and support. I think the original idea of etsy has done so much good by starting the DYI revolution and appreciation of homemade items. This change makes me feel as though etsy, just like all big business today cares about the almighty dollar and will sell it’s original “soul” to make billions instead of millions. As always, we who truly just want to work at and maybe even live our dream are left in the dust. The artisans are the ones who made etsy what it is today. Etsy has chosen to forgo the beauty of the original idea and settle for lower quality, machine manufactured, either in part or whole just like every other business today, on the backs of those who truly do the work. I don’t know where I’ll be or where etsy will be a year from now. But I can’t help but envision millions of tons of stuff with manufactures marks and selling by the truck load. products selling for much less than I can even purchase my fabrics and other goods at. I wish all of you and etsy continued success while I try and figure out if I can possibly fit into this new model. This sums up EXACTLY how I have grown to feel about Etsy over the years and some of these new changes make feel this way even more. As an Etsy Seller since 2011, I am saddened to learn Etsy is selling out for more profit. Etsy was special. Now Etsy is just another retail site with mass production (ie: eBay). To me handmade is more than just an original idea. Neither is handmade delegating the work to others. Handmade is taking the personal time to craft an item—“hands on” / “personally”. I have to agree with the few that have concerns of what someone is going to label “handmade”. I encourage the hiring of people to help with the process as long as it is in a very small scale, less than 10 people. I am not sure how I feel about the out sourcing of several steps to get to a finished product. It really stops being handmade by me when this happens. If shops leave because they have grown so much that they need manufacturing sources, Wonderful!!! This is great for them, and great for those of us who are not looking to create such a large scale shop as it leaves more room for us on the sales. If you can’t sew, but have great design than work with the person who can and create a shop that the 2 of you do together. If you only have design and no skill but want to sell in large scale, there are other places to do this, not Etsy. Perhaps a brick and mortar shop is a better venue for those sellers who want to produce in mass quantities. I wonder if anyone has an example of the type of product that would be unfit. Ebay is full of things that clearly aren’t handmade such as car parts, used toasters, ikea furniture, and collector items such as beanie babies. Collector items, if they are more than 20 years old, can already be sold on Etsy as vintage, but a set of spark plugs for my Jeep aren’t ever going to be on Etsy. However, if someone uses Adobe Illustrator on their computer to design a really cool custom sticker for my jeep and they happen to sell 10,000 of those stickers, I don’t see how that’s a problem for other Etsy sellers. But, that said, the reason for the discussion in the comments is so we can all get input and information from others in the community, so I’m willing to admit I could be missing some huge problem on the horizon. What are some examples of specific products you’re afraid this will bring to Etsy? In reading the comment above again, I’m seeing the concept of someone who can design a garment, say a dress, but can’t sew. They could hire a company that does mass production garment making to create 1000 dresses for them and sell them for cheaper. I can see that. But there are so many other ways of looking at that. For one, where ELSE could a gifted designer have the opportunity to show their stuff to a creative community rather than on Etsy? It’s by far the best place for that. Second, nobody is going to go out and spend a fortune on mass production until they already have a product that is selling. Those are the same people who are already on Etsy ans then have to leave because they outgrew Etsy by going huge. Part of the beauty of the Internet is that you could be the next “big winner” whose items are in such demand that they have to be mass produced (or raise the price to levels that make most people feel horrible because they can’t afford). I would choose to make more people happy by keeping the price low and mass producing. Before this change, it would have meant I had to leave Etsy and start my own shop elsewhere, which changes a lot. All my links on the internet now point to the wrong place, my business cards are wrong, my past customers are looking for me in the wrong place, etc. Not allowing this in some form really punishes the person who has a big hit. the new rules simply justify all the re-sellers already on etsy which they cannot fail to have noticed are out-selling the true ‘handmaders’ by 100-1! I watched a etsy lab thing two yrs ago, the lady was a jewellery maker, she designed the item and already – back then – had a minion making them, so the customer wasn’t getting a handmade by her item. I felt sure she was breaking the rules then, but she sure as heck isn’t breaking them now. Yes I’d love to design and get a manufacturer to make my item but even that has costs most of us cannot hope to find. This is a bit of the wrong strategy. Professional businesses don’t switch booths from now to tomorrow, but they’d take care to make it a smooth transition. Apart from the fact that it has never been a good choice to put one’s Etsy shop URL on business cards! You’d have your own custom URL/domain and from there point onwards (by link or forwarding etc.). Outdated business cards can be thrown away and written off on the next tax report. It’s peanuts. Customers will find you back when you know how to excellently work Google search. If you don’t, hire someone who knows. If you’re going big, you’d switch over, with the help of someone who is a pro in that field, to your own domain and ecommerce, plus work on expanding your network to e.g. wholesale accounts. It has never been and never will be a good idea to entrust your brand to a marketplace, no matter whether that’s Etsy or any other of the many marketplaces out there. Your brand belongs to you and you alone. As for the mass-produce-with-handmade-pixie-dust products sellers on Etsy, I have had -over the years- a close look to many mass produce (reseller) shops and their feedback. The majority of them is located in Far East. And I noticed how very few customers actually stated disappointment on the item not being handmade at all. Most neutral and negative comments usually point out on the minor quality of materials, seams, soldering… on delayed/long shipping and poor communications. So, either all those customers really are unable to tell mass produce from unique handmade items, or they don’t care at all. My personal opinion: the majority of these customers does not care at all whether a product has been genuinely handmade or whether it’s one out of thousands of same items coming from some factory’s assembly line. These people want individual, handmade-looking products at bargain prices. Because that’s what economy does to everyone’s wallet. I wonder, especially under those economic circumstances, how Etsy wants to disrupt the big market out there? I totally agree with Liz! And the new policies are perfect for businesses like hers! I have personal friends that are in the same boat and I’m thrilled for any artist that has success like that on line! But the rampant mass produced cheap 20,000 sale items breaks my heart. That is not “handmade.” I do my best to promote the shops with a real person and a real story. These commercial shops do not have stories and they don’t need to – they are selling like crazy. Nothing personal there. And the customers that purchase the cheap commercial items don’t care either! Those customers are not coming to Etsy for handcrafted, support an artist, item, they want the cheap stuff only. I just wish they hadn’t taken over Etsy. It’s time for artists to be responsible for marketing their products on their own websites and learn to blog to attract their customers. Stop giving away you power to a big business who makes decisions based on the best profit and growth for themselves. Etsy is not going to look out for you! Change is a only thing constant and Etsy sees huge profit and growth if they go in this new direction. The internet is a wonderful place that you can cut out a living for yourself. Giving your power and whether you survive or not to Etsy is the starving artists mentality. “Everything Etsy” is standing by Etsy because their livelihood depends on being part of Etsy. They have worked hard to build “Everything Etsy”. And that’s fine and good. I understand their viewpoint. Roll with the punches. They will go on…just as Etsy will evolve, attract different types of people and go on. Businesses do things that insurance their survival and profit. But artists, you also have choices. Your success or failure only depends on you! You can be successful! You are creative and can overcome anything if you choose. Take back your power and decide to make your business a success. 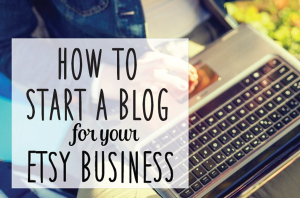 Own your website and market with your blogging. Learn how to market on the internet and make yourself successful! You don’t need Etsy! It’s fine being here to learn in the beginning but there comes a time to say “enough is enough”…I want to control my destiny and not some big corporation that can close my store down on a whim or change policies how I conduct my business whenever they wish. Say to yourself…I just don’t fit in with Etsy anymore because of my values and that’s OK! If you choose to stay with Etsy…you will have to abide by THEIR rules. Etsy is NOT your company! But you do have a company…build your company! It doesn’t surprise me that someone might think we would just play along with whatever Etsy does because this website is tied to it. It offends me a little, but it doesn’t surprise me. The truth is that we would never betray the relationship we’ve built with the readers of this blog just because it’s good for business. Being full of crap is never good business for a blogger. Honesty and an educated opinion is good business for a blogger. Only a portion of our living is derived from this site and the time we put into the whole thing makes it anything but a cash cow. We could make better money doing other things, but we enjoy doing this together and we’re passionate about the FUTURE of the handmade movement overall. We also have handmadeandcraft.com, which we started in part so we would have an alternative place to meet-up with the handmade community in the event Etsy ever really went to the dark side, which we don’t think they have. We also sell on Etsy as part of our living, and no small part at that. We’ve sold a few thousand items on Etsy ourselves. But the idea that we would actually say we think something is good while we actually think it’s bad is offensive. That is the exact opposite of who Kim and I are. If nothing else, we’re honest with our readers. We agree that it is totally up to sellers to market their items. In fact, I’ve been wondering, as I read about these shops with 20,000 sales, where that traffic came from. Was it from an advertisement, was it from a mailing list, was it from SEO, or was it from the search feature of Etsy. If it was from the search feature of Etsy, is that because a MASSIVE number of people was looking for a particular thing? If so, what marketing went into making people look for that particular thing? Marketing is a part of any business which is why smart business owners often blog and build a brand name for themselves in any and every way they can. We’re not saying you shouldn’t market for yourself. In fact, if I go back and read this post I’m pretty sure the only thing we are saying is that this change “looks” like it could be a good thing overall. We can see a bright side to this and it’s not small. When it comes to “where to sell” and you talk about selling on your own site, we say sure thing… nothing wrong with that. But it’s not free, it’s not that easy, and it isn’t without headaches. Shopping cart software is not “a snap” to set-up, payment processing options aren’t clear, SSL (website security) isn’t free or easy, and many of the solutions are expensive, costing $25.00 a month minimum. If you haven’t sold a thing yet, making a commitment to design and build a site that carries a monthly overhead is a tough call for many sellers. Etsy handles all of that with almost no investment required from sellers and a very user-friendly interface. It also just happens to give you a massive brand recognition and consumer sense of safety that you would have to work very long and hard to get on your own. I could go on and on and on…. there is no way to win an argument against the value proposition of Etsy. It’s simply a good deal. This blog is full of posts about our feelings on this matter. So, I guess as it stands, we’re happy to have become part of the community when we did and are proud to have the blogs EverythingEtsy.com and Etsypreneur.com Not proud because of an affiliation with Etsy, Inc. (we are not affiliated with Etsy, Inc.) but because of the tens of thousands of highly creative people who fill the site with millions of awesome products of every shape, size, and quality. Readers… I promise you, and I’m talking from experience, letting this thing upset you will do you no good and could possibly do you great harm. You can’t change it so you might as well do what we’re doing and “see the bright side”. The good news is that this bright side is super easy to see. It’s very bright. The dark side may be there but wasting your time worrying about it won’t make you a penny. 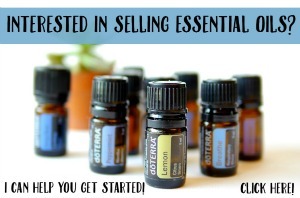 It won’t sell you a thing! Focus on your dreams, on your big ideas, on your small ideas, on your NEXT POSITIVE STEP. And do that. Leave it to someone else to worry about the mass producer from Timbuktu while you focus on your own creativity and potential. For years I’ve seen shops that purchase an item from a wholesale store, add a little handmade embellishment and call it Handmade. Really? There is no way that one shop with a few “helpers” can create that kind of volume. We’re not dumb. Now Etsy will allow the same thing on a much larger scale. The onslaught of new shops with retail type items will explode on Etsy and the smaller shops will never be seen. I notice on the front page there’s always this one shop being listed many times throughout the day. Why wouldn’t Etsy do this? Etsy makes it money off sales and listings and not views. Really, what about the small shops being on the front page? The small shops that made Etsy what it is today with disappear. Why doesn’t Etsy create a store front for just retailers and give the true handmade shops a chance to survive? I hope that these changes are good for the Shops and not just more dollars for Etsy. I am cautiously pessimistic about the effect of the new changes on small to medium-sized Etsy sellers who DO actually make items themselves, start to finish. My fear is that Etsy is selling its Soul to enhance its bottom line, and that smaller sellers, like myself will become expendable collateral damage during the transition. To me, these changes run counter to the fundamental ideals that made Etsy a HANDMADE alternative marketplace. The potential to outsource to sweatshops is not consistent with my understanding of “handmade.” I attended the Town Hall webinar, and I came away very discouraged and disheartened. I’m concerned about the quality control that needs to govern this type of change. Horrible change! I thought etsy was all about supporting an individual. It can be hard now searching for an item. Once someone floods a category with even hundreds of items, what chance does a small seller have? Boo Etsy! I have mixed emotions. I always thought “handmade” was the essence of Etsy, I take pride in selling products made exclusively by me and as a buyer have always been willing to pay a little more for a handmade quality product. I realize there is potential and opportunity in the new rules but I wonder if a lone seller will be able to financially compete. I was reading a scathing thread in the Etsy forums one day concerning a seller who was having a design printed onto clothing. She was selling like crazy! Everyone was bashing her, calling her a dirty reseller, etc. I couldn’t see how what she was doing was any different from an artist having their work printed. I did graphic art in my former job, and this thread had my mind buzzing with ideas. I contacted Etsy Admin, and asked if what she was doing was “Etsy-legal”, and if so, coukd I do the same with my dog breed design series? They responded very quickly, and said yes, as long as it was my design and I noted that I use an outside source for my printing. Well… I got to work immediately adapting my wood sign designs for a line of tote bags – doggie travel bags! I’ve already sold one, and the customer wrote to say she owns a company where all their employees have pets. She is putting together a list for her company Christmas gifts, do I create a custom order for her! She’s thrilled to find fun and unique gifts for her employees (which aren’t available in a big bix store!) I’m thrilled because my signs take many days to create – waiting for paint to dry, etc… Also, all that sanding hurts my hands and back after awhile, so I’m not sure how long I’ll be able to make them! Another plus… I am great on the computer. I have lots of talented friends who would never want yo do all the work necessary to have their own shop. I can envision adding them to my shop (a new one I’d create for this purpose) as artists, thereby providing them with the opportunity to get their work out! This new change just opened so many possibilities! I DO hope they decide to designate items as being “handmade by the artist”, “designed with production help”, etc. Not just at the bottom of each listing and the “About” page. An icon, color bar, or some other instantly identifiable, searchable designation. Those are my feelings on the matter. I understand the changes are upsetting to many sellers. However, I thought it was important to represent another point of view. Thank you for your thoughts. Many of the first comments above are also positive, but the negative reactions have been strong on this too. We still see it as a good thing and we hope that Etsy is trustworthy to protect the community from ruin, which is what it seems like some people think. Best wishes for your success moving forward! The last few times I have looked to Etsy to buy something (I was Looking for a purse) my search efforts were from places that seemed mass produced. The prices were way to cheap to be handmade. I was very disappointed and it has seriously made me rethink reopen ing my Etsy shop. The thrill is gone! I’ve written and submitted my application and awaiting the decision. When you have to start having your items created by a manufacturer then it is time for you to move away from Etsy & there should be no shame in that. Simply change your shop banner to reflect that you have moved. You came to Etsy to grow- if it worked & you have to find a company to make your items then you no longer need to be on a handmade business selling page. I never read Etsy’s policy as that I could not hire any help- hiring help might be finding a few local seamstresses to sew from their home or your home/office, or someone to handle emails/printing shipping labels etc. I stand by handmade being just that-mass production in a warehouse goes against everything that was Etsy. I’ve been a shopper here for 6 years- seller for 2. Disappointed with the change. The most important word “Handmade” will become null and void, therefore I won’t be able to trust buying anything on Etsy anymore. Pity, because I really valued the site’s integrity. Wendy I totally agree with you. That was the unique aspect about the shop….handmade. It is a shame. But lets face it, what value does having integrity have anymore? Its all about GREED! Kim and I sell on Etsy. We blog about Etsy. We like Etsy, Still. So we can handle a day or two of negative feedback from people who disagree with this move, but we happen to disagree with you. We don’t think this is going to change the definition of handmade, change consumers desire for real handmade, diminish the opportunity for anyone to succeed on Etsy, or do anything bad at all. We think it opens up new opportunity, that’s all. We (unlike most of the commenters) admit we could be wrong, but only time will tell. In the meantime, we would really prefer to try and focus on what we DO like about Etsy since we’ve spent four years building on the amazing opportunity that Etsy was, and we think still is. So please forgive us for closing the comments, We just want to move on from this subject. Previous Post 10 Great DIY Soap Tutorials–The Perfect Handmade Gift!